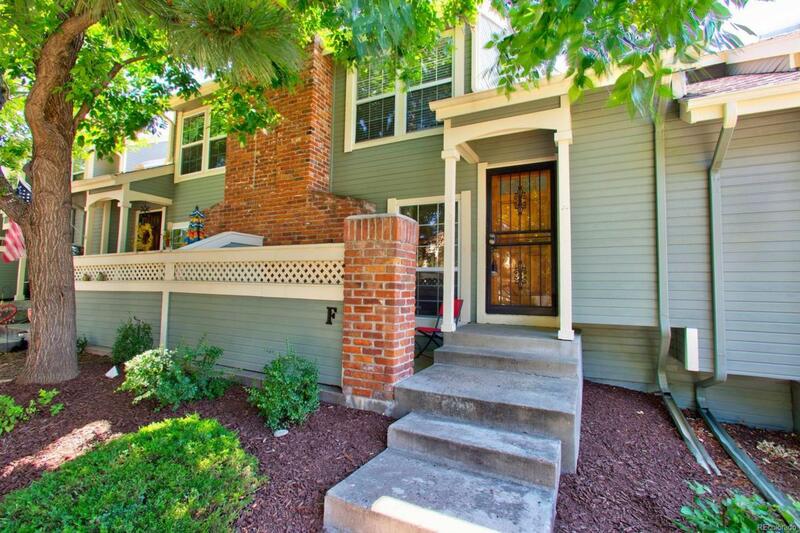 Southpark townhome ready for quick closing and possession! Great location close to Aspen Grove shopping center and Mineral lite rail train station along with two major transportation corridors. Lovely community with beautiful trees, lifeguard attended swimming pools and tennis courts. Kitchen has refaced kitchen cabinets and granite countertops and all appliances are included. Main floor bedroom, office or flex space with attached bath with shower provides great options for your needs. Upper level includes large master bedroom and extended vanity with granite countertop plus additional generous sized secondary bedroom. Bath has been updated to include granite countertops dual vanity with granite and fixtures. Two car attached garage leads into a multiple purpose area with washer and dryer, shelving and storage space. While visiting this property take a few minutes to walk or drive through this community and you will quickly see why it has become a favorite of so many!